The Golden Age of Hollywood, a young British actor, a love affair, and a tragedy, Film Stars Don't Die In Liverpool is Peter Turner's touching memoir of the last days of Hollywood icon Gloria Grahame, the Oscar-winner best known for her portrayal of irresistible femme fatales in films such as The Big Heat, Oklahoma and The Bad and the Beautiful. The Hollywood Reporter calls the film adaptation "a tender, affecting romantic drama." 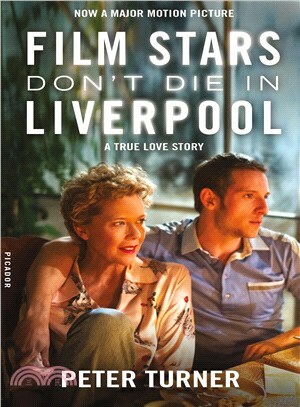 Taking place over the course of three weeks in Turner’s larger-than-life working-class family home, Film Stars Don’t Die in Liverpool is an affectionate, moving, and wryly humorous memoir of friendship, love, and stardom. PETER TURNER was born in Liverpool in 1952 the youngest of nine children. He was educated at a local comprehensive school and started acting at the age of sixteen with The National Youth Theatre of Great Britain. He worked extensively in British theatre both in London and the regions. He played Terry Adams in three seasons of the hit television drama series Spearhead and his film parts included playing Trinculo in Derek Jarman’s version of Shakespeare’s The Tempest. He met the Academy Award–winning American film star Gloria Grahame in London in 1978. They became lovers and their relationship lasted until the end of her life, dying from cancer in 1981. He wrote his memoir Film Stars Don’t Die in Liverpool in 1984. Peter has also written screenplays and devised and written scripts, British television, plays, and serials. Currently, he is working on a collection of short stories.